Building an app is just the initial step in implementing a business idea. After releasing a product to the market, an intelligent marketing strategy is bound to encourage a good number of people to download it. But how long will these people use the app? The most challenging task for an entrepreneur is to make sure the users are satisfied enough to return to the app, pay for the services it offers, and share it with their friends. Mobile app analytics can help you decide how to appeal to users and retain them. How can one measure an app’s vital signs? Which metrics are the most important? How do metrics have any connection to pirates? Let’s figure this all out! KPIs may vary from business to business. In case you are aiming at making a name for your app before starting to monetize it you should focus on user behaviour and advertising channels, and track user engagement figures, sessions, and social shares. If you are getting some revenue from your app, discover which user actions are convertible, and how much each customer brings you on average. Now, let’s see which metrics really matter. We’ll divide all metrics into five groups: downloads, users, user engagement, user retention, and monetization. The number of app downloads doesn’t necessarily correlate with the number of active users, but this metric helps you get an understanding of your app’s user base and the effectiveness of your advertising efforts. Users may land on your app’s page in an app store from different traffic sources – social networks, affiliate sites, or search engines. App analytics tools can track the performance of all traffic sources that you use to promote your app. Also, since official stores are quite overcrowded, you can release a version of your app for Android in one of the alternative app stores. Unfortunately, the same isn’t possible for iOS apps. Having people download your app doesn’t mean that your strategy is successful, because most of them will drop off after a couple of sessions. That’s why you must analyze if the app provides a real value for users, which is impossible if don’t know who they are (see point 2). To know who your users are means to have information about their age, gender, personal preferences, devices, locations, and even if they tend to use the app at day or at night. To know your users is to know what they expect from your app, and to adjust its design, functionality, and content to satisfy those expectations. App developers generally have a vision of what they want to create and who is going to use it. But practice shows that actual app users may differ from original expectations, or in the worst case scenario, there might not be enough users to support an app’s existence. In this case, you would need to rethink the app’s concept entirely, and maybe even retarget it towards another audience. If this happens, don’t get discouraged. The fact that your app has been downloaded is not a sign of its success. User engagement metrics show how “sticky” the app is - and speaking of stickiness, recent research shows that the time users devote to mobile apps is constantly rising. However, users churn rate has remained high over the recent years. Session length. Google Analytics suggests counting session length as a period of activity: if a user doesn’t interact with an app for more than 30 seconds (the period is customizable), the session is considered to be terminated. Time in app. While session length measures the time a user spends during a single session, “time in app” is the total time an app is used during a certain period (e.g. week, month). Session interval. The time between repeated app launches must be as short as possible. If it’s not as short as you want, you should figure out a way to improve this rate. Push notifications are one of the most common methods to remind users about your app’s existence. In-app activity. This metric shows which features are used and which screens are visited more often than others. Also, you can track where your users drop off, and reconsider your content philosophy and UX on that basis. Active users.Daily and monthly active users are people who use your app regularly and perform convertible actions. It’s one of the key figures needed for evaluating user Lifetime Value (LTV), which we will speak about a bit later. User engagement may also depend on the device type. For example, if the tablet version of an app is used less often than a version for smartphones and has a higher bounce rate, you might want to rethink your approach to UI/UX design for this category of devices. The higher the engagement rate, the more value your app brings to users and the higher the possibility that they would want to make some in-app purchases or monetize your app in some other way. The above-mentioned Localytics research also shows that while more than one third of users visit an app more than 10 times a month, only 17% remain active three months later. This 17% is the user retention rate. The other 83% represent the churn rate of an app, or the proportion of users who leave an app during a given time period. To increase user retention you can use growth hacking techniques. Providing users with bonuses, instant customer support, implementing new features and cutting ones that aren’t useful are all examples of growth hacking. You can also carry out inquiries among users to understand what they like about your app and what needs to be changed. Analyzing user retention will help you understand what’s working and what isn’t, how updates affect your users, and how to create a solid, loyal user base that will guarantee stable revenue and high conversion rates. Conversionimplies all user actions that help you monetize your app or achieve other desired goals. For instance, conversion may mean an in-app purchase completed by a user, an item added to a cart, or a click on in-app ads. It may also be use of a newly implemented feature, or even a sign-up. ARPU. Average revenue per user is calculated by dividing your app’s monthly revenue by the total number of active users. LTV. 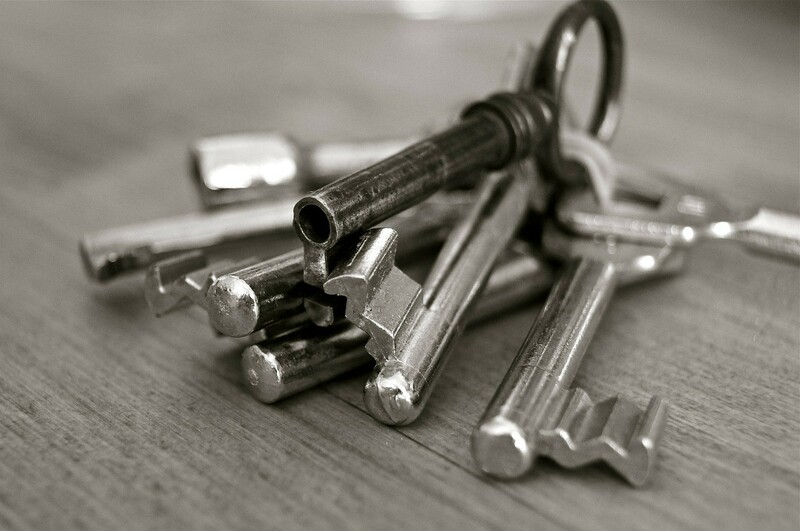 Finally, a user lifetime value is, perhaps, the most important KPI in app marketing. It represents the revenue a user brings during the whole time they use an app. In other words, it’s the overall financial value of a user. If a mobile app isn’t the only channel you provide your service through, you can also compare the LTVs on your website, desktop app, or an app on another platform to see how your mobile app measures up. 1. Acquisition. This metric tracks installs (which we already touched upon). People who have downloaded and launched the app are considered as “landed”. 2. Activation. This is a stage that analyses how users behave in an app and if they complete initial engagement criteria. For mobile apps, engagement criteria may be signing up for a service, a certain number of app launches, or a quantity or frequency of sessions. If your app has some advanced functionality, it would be great to add some interactive demo or a tutorial to make sure that new users won’t run away failing to understand the app’s idea. If your users quit, you should find out why. Possible reasons for quitting might be an overloaded UI or a lack of tips and guides on how to use the app. Once you find the exact pages where users bounce, you should consider what needs to be improved. 3. Retention. Users keep using the app for a long time. Depending on your app, the retention criteria may vary. For instance, it’s okay for users of a scheduling app to update their dashboards only a few times a month, while curated news apps require more frequent visits to keep their retention rates growing. 4. Referral. Users suggest your app to other people. There is nothing better for marketing than word of mouth. Nice referral rates is a sign that users really value your service, and will bring more users ready to perform convertible actions there. To get more referrals, use share buttons for the app’s content, add “refer to friends” functions and award users for using the app (Dropbox has one of the greatest examples of referral strategies). 5. Revenue. Figures in this metric determine if all the previous KPIs work well. While tracking revenue, you should find out which user activities lead to in-app purchases and other transactions, and which of them don’t help you monetize at all. Aggressive advertisement and forcing users to make in-app purchases may frighten away potential active users. Many companies implement monetization features like premium subscriptions only after they acquire a considerable number of loyal users. As you see, AARRR!! is a simple and effective method for tracking your app’s gains and losses with a focus on the most important KPIs. 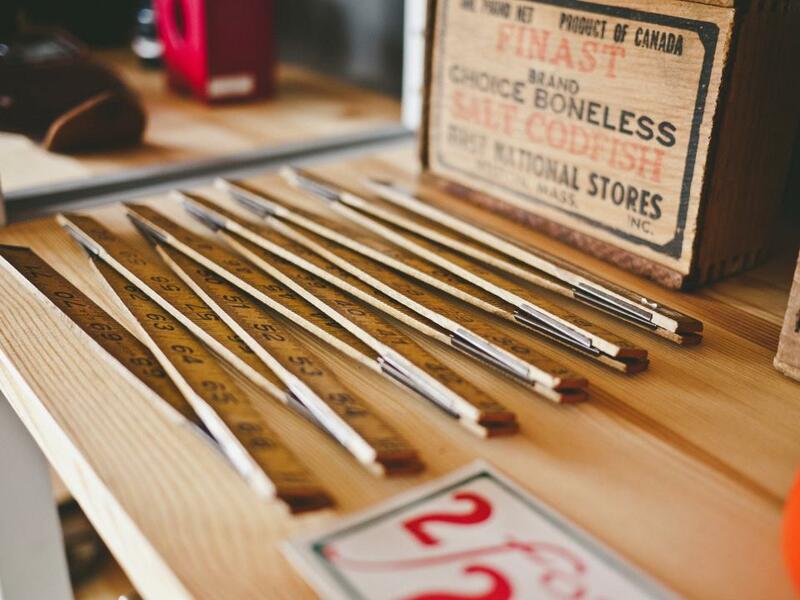 Now, that we know which metrics to measure, let’s learn how we can measure them. There is a vast choice of analytics tools for web and mobile apps that distinguish themselves by price, functionality, and metrics tracked. Some analytics tools are optimized for tracking AARRR! !, others are customizable, and some are used for specific tasks like crash reporting. We’ve gathered the following most popular tools for iOS and Android mobile app analytics. 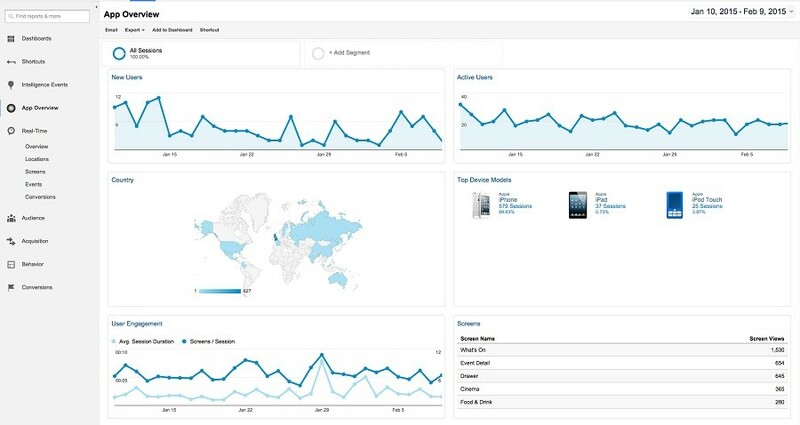 Google Analytics for Mobile Apps. Google Analytics is perhaps the most popular analytics tool. It’s absolutely free and tracks in real time every key metric you need to make your app more valuable for users: traffic sources, installs, user data, behaviors, pageviews, conversion, LTV, and even crash statistics. You’re also able to set goals and track their progress. 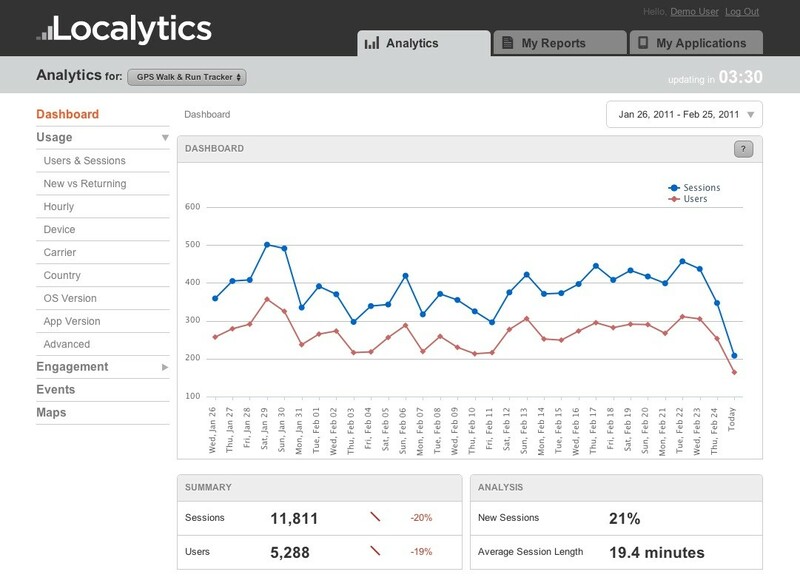 Flurry Analytics (recently acquired by Yahoo, and now part of the Yahoo Mobile Developer Suite) is another popular and free tool that’s good enough for tracking installs and user engagement rates. It’s more focused on users: their paths in the app, segmentation (demographics, geography, sessions, interests, new/active users), archetypes (personas), technical info (devices, software and firmware, errors and crashes), and retention. 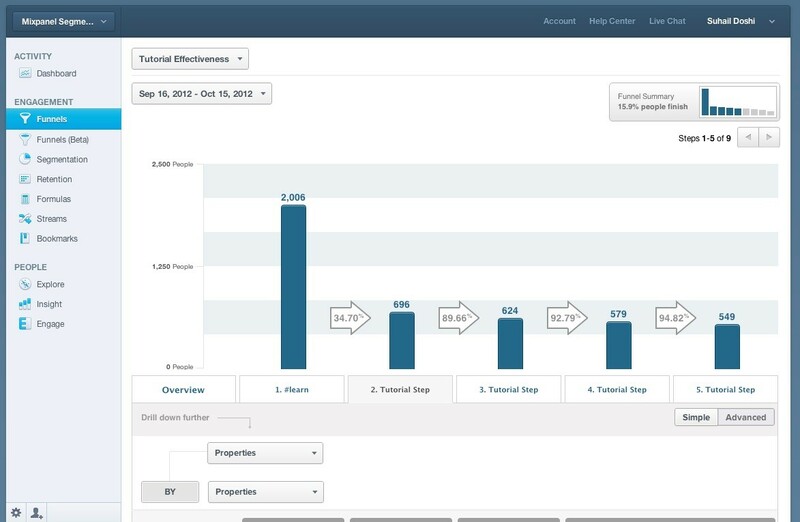 It also allows you to create conversion funnels, customize KPIs, and measure sessions. You can get additional revenue placing ads in your app through the Yahoo app publishing service. On the other hand, Flurry is a bit clumsy and has an unresponsive UI. Apsalar has quite a lot of functionality in its basic version and an intuitive UI. You can track user data, app engagement, referrals, and revenues using pre-built or custom dashboards. 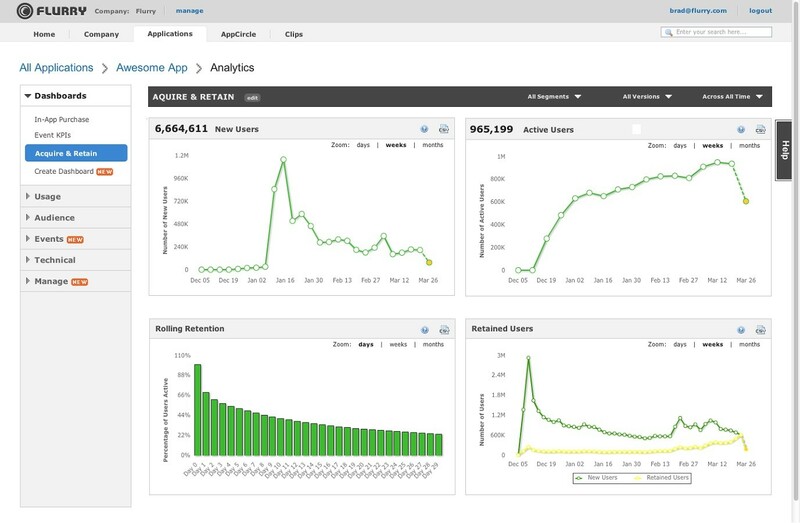 Apsalar lets you create funnels and perform real-time cohort analysis. 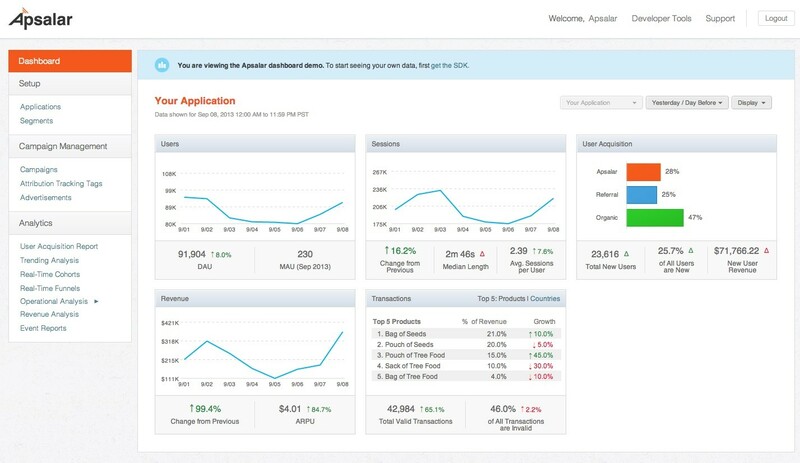 Compared to Flurry, Apsalar is more focused on in-app analytics and user behavior metrics. Mixpanel is another freemium solution that, in contrast to Apsalar, has a pretty limited free version. Mixpanel’s pricing model is based on a so-called data point: the more expensive version you buy, the more data points you get. Every tracking activity will cost you points. If you run out of them, you will be charged for additional points or will have to upgrade your pricing plan. Also, depending on the pricing plan, you will be only be allowed to track a certain number of users (starting from 1,000). Despite its inconvenient points model, Mixpanel is one of the fastest and most complete analytics tools. Unlike Google Analytics, which is focused on pageviews, Mixpanel provides comprehensive statistics on every user action that can be tracked in real time. It has an intuitive graphical interface that allows you to build events and funnels more easily than in Flurry. Mixpanel also provides an A/B testing feature that allows you to make real-time experiments and evaluate their impact on your app’s success. Localytics’s functionality is pretty much the same as Mixpanel’s. It offers detailed information about users and allows you to build user segments and funnels, track real-time engagement and revenue, and measure LTV. It has a special focus on marketing tools like A/B testing, campaign attribution, and personalized messaging. The Localytics pricing model is based on MAU - the number of Monthly Active Users. The higher the MAU, the higher the price. You don’t pay for inactive users, though. Moreover, the free version of Localytics allows you to have up to 10 000 MAUs compared to Mixpanel’s 1000 signed-in users. You can also check out other tools like Countly, Adjust, Appsee, App Annie, and FlightRecorder to find the right combination of functionality, service quality, and price. Analytics is a vital part of product development. It’s a complex process, but will help you understand your user’s needs and improve your services to meet those needs.